I like watching sports, traveling abroad. 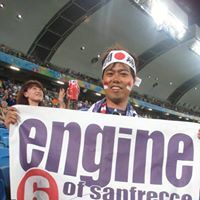 My favorite sport team is Hiroshima Toyo Carp(Baseball), FC Barcelona(soccer) and Sanfrecce Hiroshima(soccer). I also watch Tour de France. I have been in this countries. My twitter accounts are @masser199(Japanese) and @masser200(English).